In the heart of Dublin’s trendy bustling Temple Bar sits a unique socially interactive sports bar and entertainment venue. Busker’s On The ball really is one of a kind- there is literally nothing like it for a good night out. It’s only a short stroll from Grafton Street and O’Connell Street the two main thoroughfares in Dublin city center making it a vibrant new venue and a valuable addition to Dublin’s Nightlife which is always full of surprises. Perfect for corporate events or just a good social night out with friends or work colleagues Busker’s On The Ball is a game changer. Sporting 5 Ping Pong tables, 4 Pool Tables, 2 Fussball tables, 2 Shuffle Board Tables and an American Pool table, it’s an interactive sporting delight. 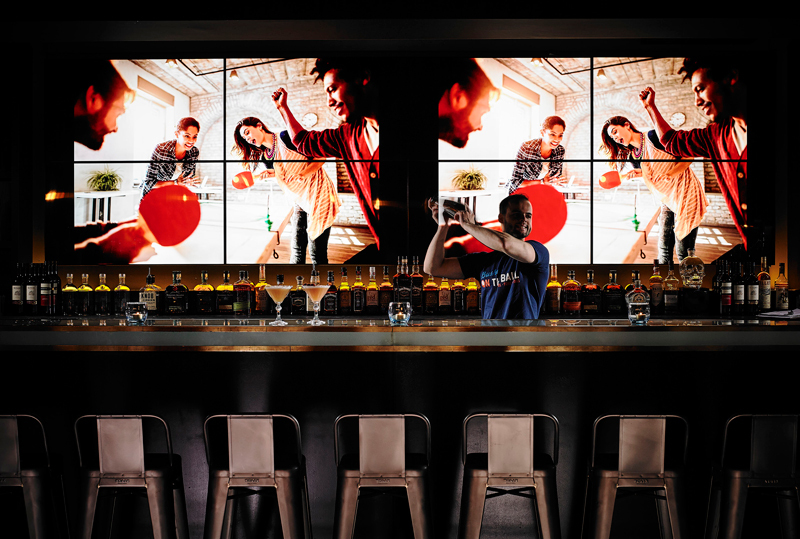 Busker’s On The Ball also has Dublin’s largest indoor video wall which shows every major sporting event making the venue an absolute must for the serious sports fan. If you have an event that you would like to have in Dublin’s Number One sports venue- then get in touch, and we will give you a game changer of a night out.